Photo courtesy MO Dept. of Natural Resources. An ideal spot for relaxing and forgetting the cares of the world – even if just for a few hours. 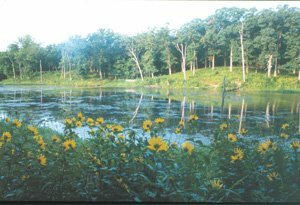 The park is an interesting mixture of prairie, savanna and forest, with 3,934 acres lying along both sides of a meandering creek.